ADC Transport, owned by Amaury Melian, accepted a load from Direct Express Auto Transport to ship a Honda Pilot from Connecticut to Naples, Florida. ADC took nearly 10 days to make a 3 day trip to Naples, finally arriving 10 days late, and stringing the customer along for days with broken promises. They missed a 10pm deadline for delivery without calling or texting the customer ahead. ADC then took the customer vehicle hundreds of miles away to Miami and began to jerk the customer around, demanding that he pay $50 per day for storage (highway robbery), plus $250 extra for redelivery to Naples. In our opinion, ADC Transport created the situation and then attempted to profit from it. This event happened in October and November 2014. We will never trust ADC Transport with another load! Direct Express Auto Transport usually will quietly and internally blacklist carriers whose performance or business ethics we deem to be subpar. Only on the rarely are we so annoyed and offended for the customer and us, that we resort to creating a web page to publicize and alert other brokers and customers to the dangers of doing business with a particular carrier. 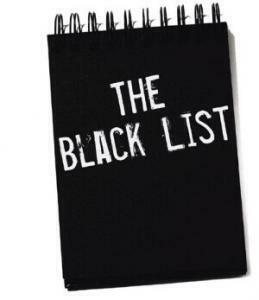 Because of our superior web position, the blacklisted page becomes one of the defining sites for the blacklisted carrier, which is likely to cost him future business.